Performance Measure and Management (pm2consulting) believes in creating great organizations by enabling people. They enable people to be successful by aligning their work to the organization’s goals, making sure work is recognized and rewarded resulting in a community and culture of performance. 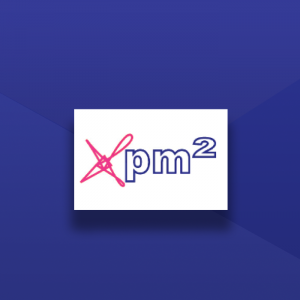 PM2 uses a unique mix of industry best practices, enabled with software tools and delivered through cross-functional workshops and powered by gaming frameworks. The firm is a boutique-consulting firm of seasoned professionals, which has completed over 3,000 successful scorecards for their clients. Their clients have been profiled in every book written by Drs. Kaplan and Norton and three clients have won the prestigious “Balanced Scorecard Hall of Fame” award. The PM2 team has been industry thought leaders for over 30 years, participating in the early development of the Balanced Scorecard, Human Capital concepts and measuring intangible assets. Our experience has led to the unique approaches used to deliver world-class results in a fraction of the time and cost of other solutions. This is our manifesto. In everything we do, we simplify the approach, reduce the time to results, build deep and wide ownership, be precise only when needed and make the process enjoyable. At MyObjectives online learning center, learn how to build and use MyObjectives using OKR’s, Balanced Scorecard, 4DX, Lean and best practices. Leverage online tutorials for do it yourself implementation or become certified as a implementation consultant.